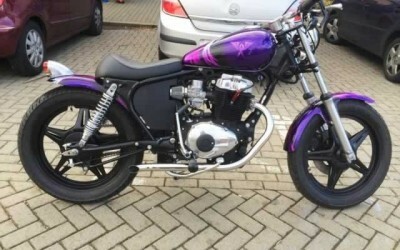 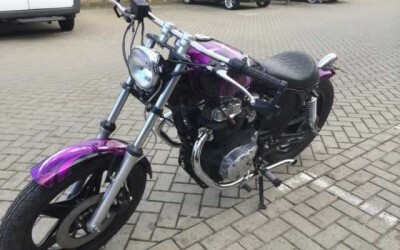 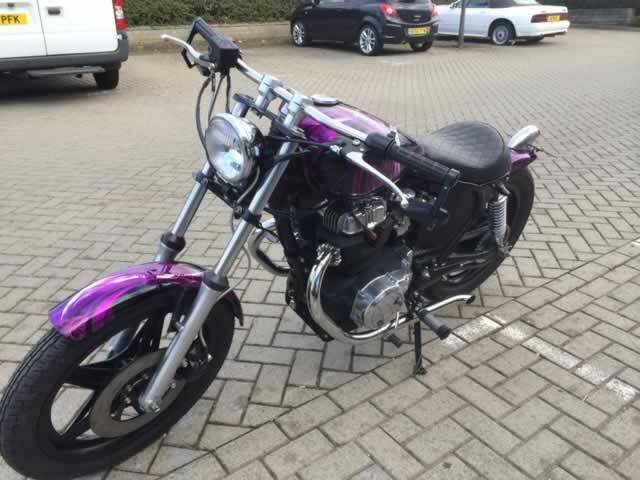 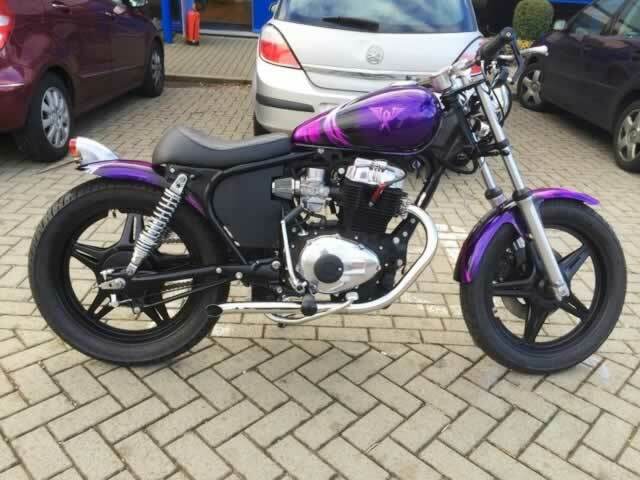 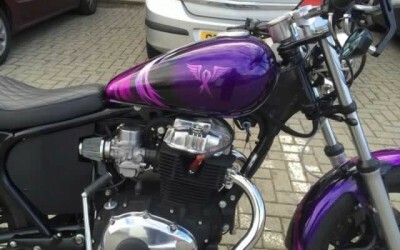 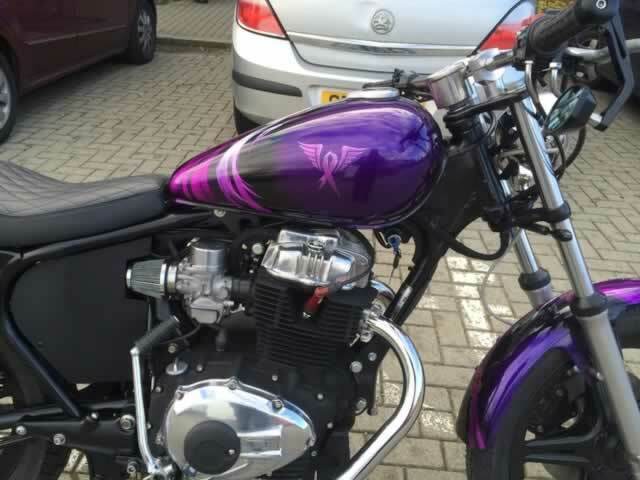 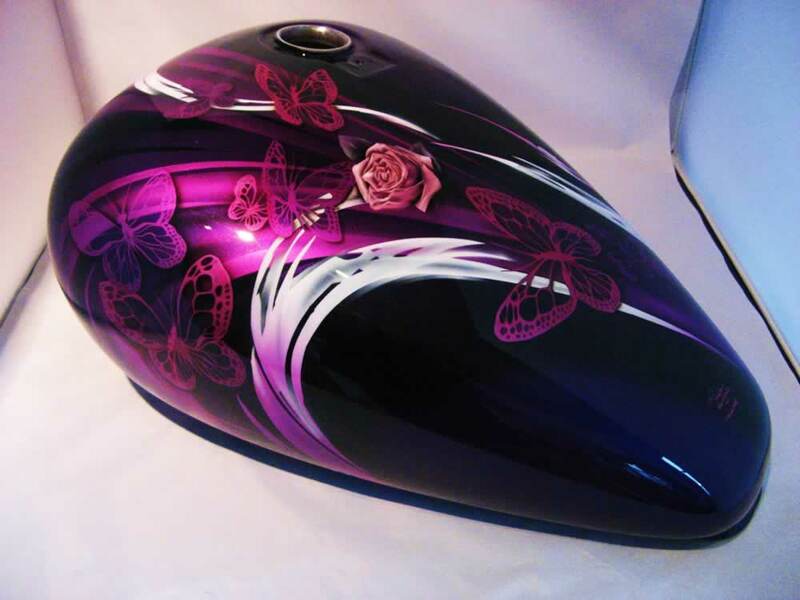 This bike, built for his partner, came with pretty well-formed ideas concerning the colours and design elements that Kev wanted to include on the bodywork of this 400 Dream. 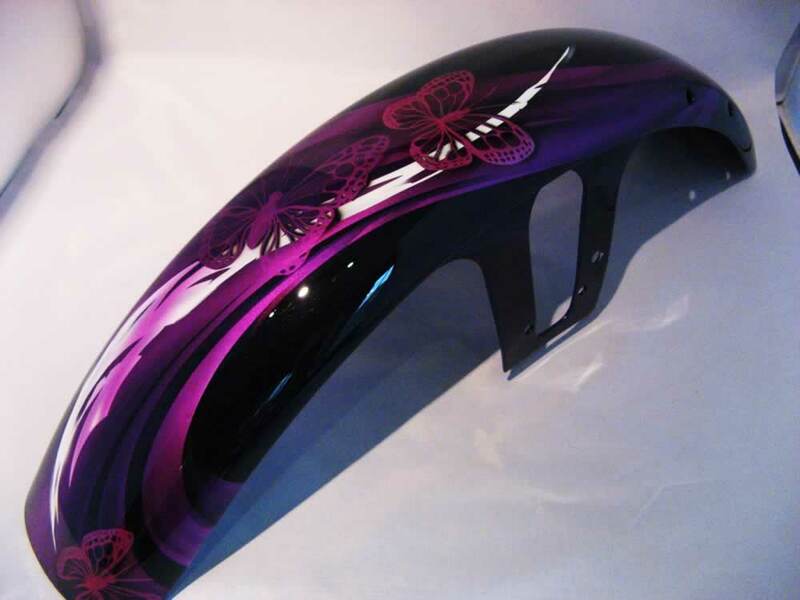 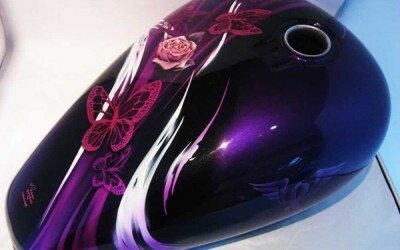 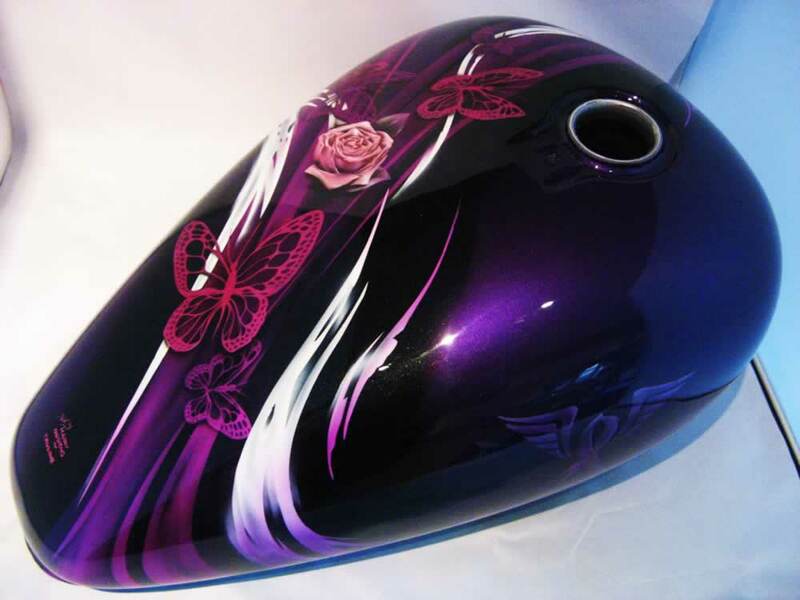 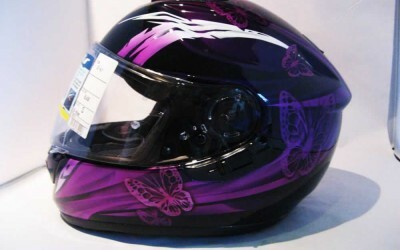 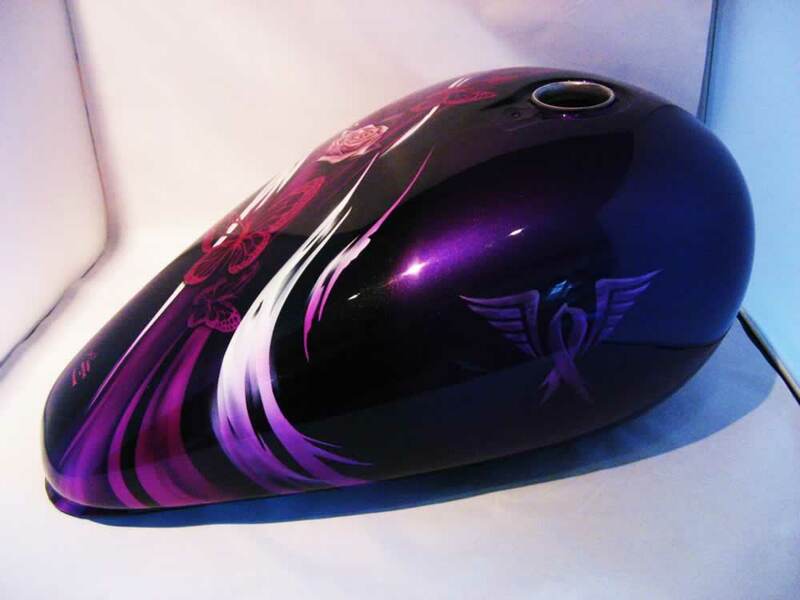 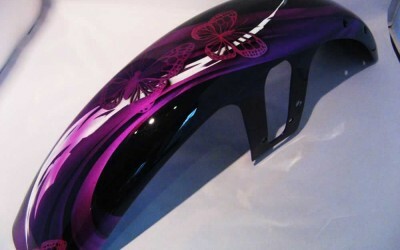 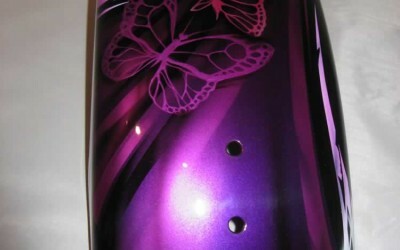 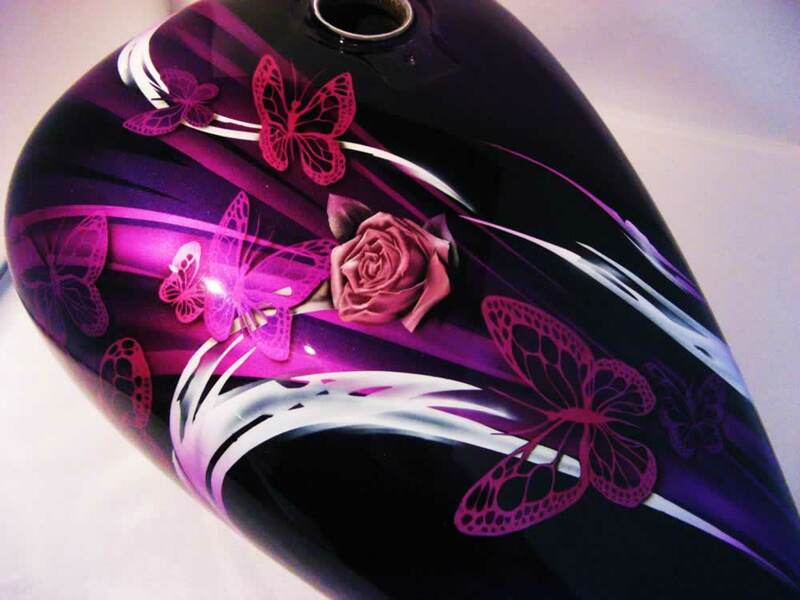 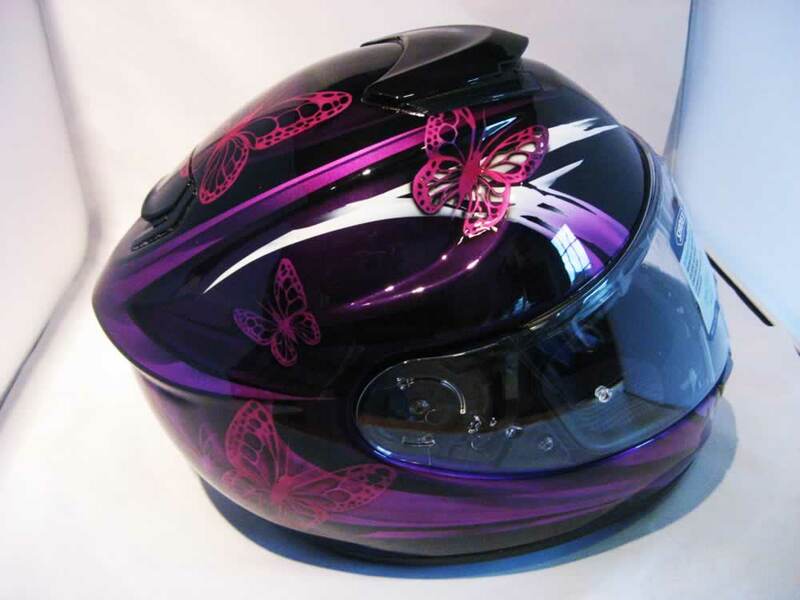 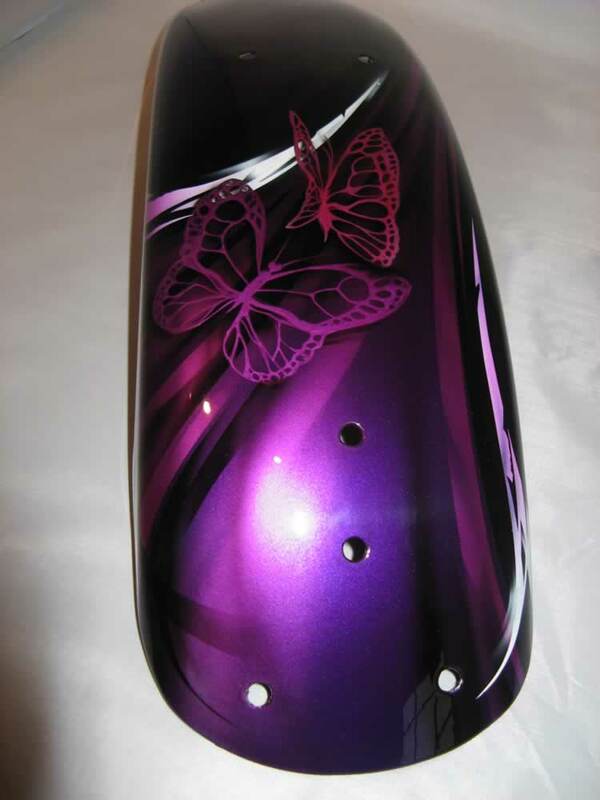 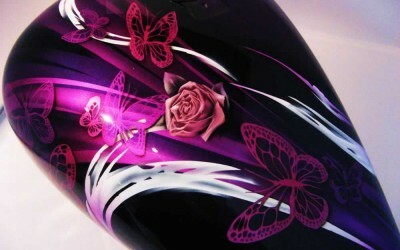 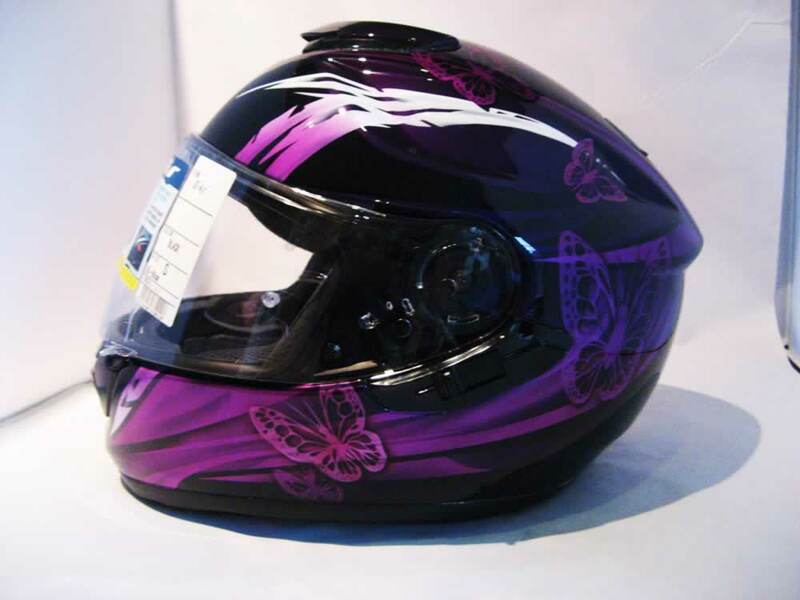 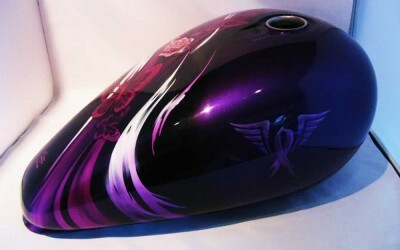 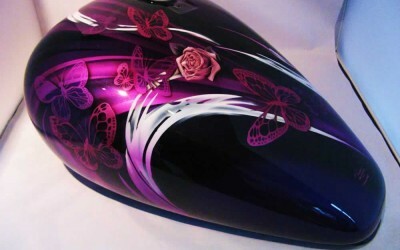 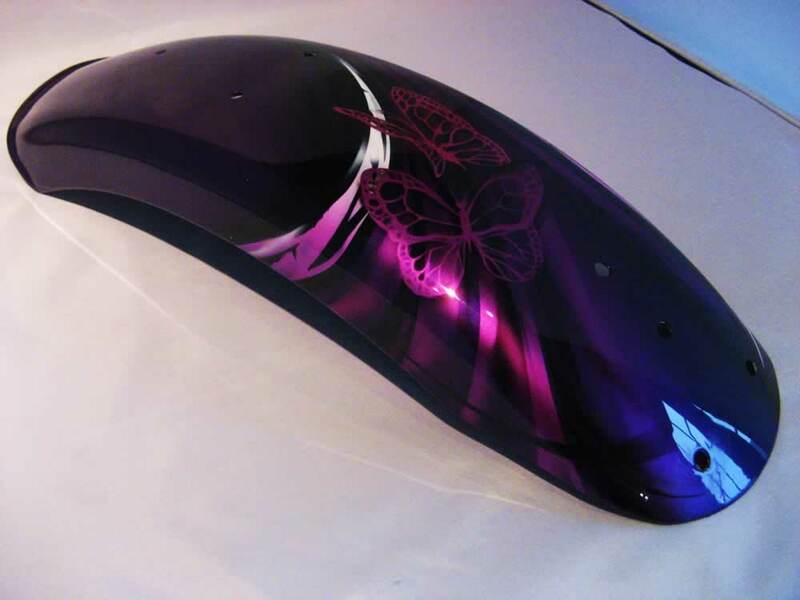 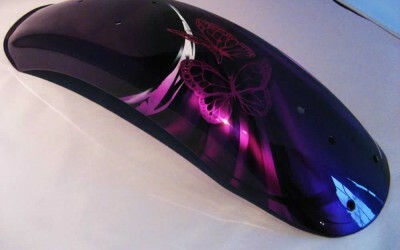 The curvy custom tank lent itself to a wild assymetrical swirl in candy purple, broken up with details of roses and butterflies. 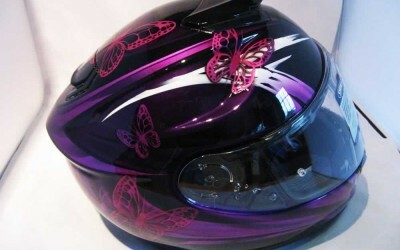 Not a skull or flame in sight.